(April 4): Year after year, Mexico places a multi-billion-dollar bet in a deal that big banks lust after. This is the untold story of how the “Hacienda hedge” happens. Almost seven months earlier, at the beginning of January 2008, the price of oil had flirted with US$100 a barrel for the first time in history. It retreated to below US$90 by the end of the month, but then, in early February, the price took off. West Texas Intermediate, the US benchmark, reached a new high every month — US$103.05, US$111.80, US$119.93, US$135.09, US$143.67 — until finally, in early July, it hit US$147.27 a barrel. Seemingly insatiable demand from emerging economies, including China and Brazil, encouraged outrageous chatter of US$200 a barrel among the giddiest traders. Even those with bearish outlooks were fairly optimistic, figuring there would be a correction, not a crash. Yet on July 22, 2008, just 11 days after oil reached its all-time high, this small group of Mexicans gathered to discuss their very different outlook in the ornate surroundings of Mexico’s finance ministry, the Secretaría de Hacienda y Crédito Público. The palace — located on the Zócalo, the capital’s vast main square — had been built centuries earlier atop what once was the home of conquistador Hernán Cortés. On the walls around the main entrance, gigantic Diego Rivera murals depict the country’s history. When “the men from Hacienda,” as they’re known, headed back to their desks, their mission was to lock in, or hedge, Mexico’s oil revenue through a deal with Wall Street banks. Within minutes they began firing off messages to the oil trading desks of Barclays, Goldman Sachs, Morgan Stanley, and Deutsche Bank. Their instructions were to buy “put” options, contracts giving them the right to sell oil at a predetermined future price, at levels ranging from US$66.50 to US$87 a barrel. The banks receiving the orders had never seen an oil deal this big. The price tag for the options was US$1.5 billion. Betting that oil prices were about to crash was an audacious wager, one made all the more remarkable by the individuals behind the deal—civil servants with unassuming titles such as “director general of fiscal planning.” In the lucrative oil business, a profession known for its generous compensation, these government employees were probably the worst-paid stiffs around. Yet the men from Hacienda—so called still, even though women are sometimes in the room—proved prescient in predicting a crash. 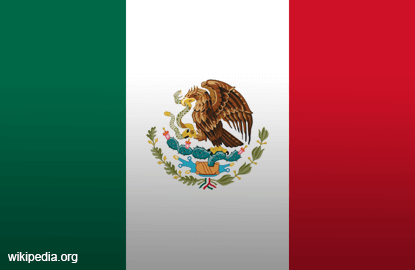 Everybody knew the world was tipping into a financial crisis at the time, but because of its excellent banking and political connections in the US, Mexico may well have had special insight into just how bad things would get. What’s more, as one of the world’s top oil exporters, the country generally has better information than, say, hedge funds, about where the market is heading. In 2008, that information led those in the room to believe global supply was well in excess of global demand. Sure enough, as the banks executed the deal over a five-month period, oil prices tipped into free fall amid the worst financial catastrophe since the Great Depression. In 2009 oil prices would average less than US$55, well below the average price of the options of US$70. In December 2009 the four investment banks involved in the deal wired the proceeds of the wager back to Mexico. Official records tracking the money that landed in Account No. 420127 at state-owned Nacional Financiera bank show the tidy sum Mexico made: US$5,084,873,500. Despite its size, impact, and huge fees, the deal is one that few people, even in the energy industry or on Wall Street, know much about. Painstakingly, the world’s 12th-largest oil producer and its bankers have cloaked the programme in secrecy to prevent others — namely trading houses and hedge funds — from front-running Mexico’s orders. “Minimizing its visibility is extremely important,” wrote Javier Duclaud and Gerardo García, two senior officials at Mexico’s central bank, in a 2012 report for the International Monetary Fund. This is the untold story of how Mexico, as early as 1990, constructed what quickly became the world’s largest and best-concealed oil trade. Bloomberg Markets unraveled the secret history of the Hacienda hedge through dozens of interviews with current and former government officials, traders, brokers, bankers, and consultants, as well as a review of thousands of pages of previously unreported documents, some obtained through freedom-of-information requests in the US and Mexico. Although some people agreed to speak on the record about the deal, others did so only on condition of anonymity because they were discussing a confidential government program. Mexico’s oil hedge has real economic significance. Until fairly recently, the country relied on oil for about a third of its income, leaving it dangerously exposed to boom-and-bust price cycles. According to current and past government officials, the main purpose of the hedging is not to pad the country’s coffers but rather to protect the federal budget from fluctuations in oil prices. If anything, recent results have made the Mexican government look especially good. The country earned US$6.4 billion in 2015 and US$2.7 billion in 2016. For 2017, the jury is still out. Last summer, Mexico spent just above US$1 billion buying put options with a floor price of US$38 a barrel. If prices stay where they are now, hovering around US$50 a barrel, the men from Hacienda won’t make any money, but if prices drop on average below US$38 a barrel, they’ll start to. We won’t know the outcome until December. Mexico first hedged oil in 1990, after Saddam Hussein invaded Kuwait and threw the petroleum-rich Middle East into crisis. Soon the United Nations had embargoed Iraqi and Kuwaiti crude, removing about 10 percent of the world’s supply from the market. Prices soared from a low of US$15.06 a barrel in June of that year to US$41.15 in October. The Mexican treasury reaped the benefits of these fast-rising prices, but the government of Carlos Salinas de Gortari also sensed the boom wouldn’t last, not with the US economy cooling and President George H.W. Bush preparing for war. According to Aldo Flores Quiroga, the country’s current deputy oil minister, the “thinking on the use of financial instruments of this kind has its origins in the 1980s, when Mexico was seeking to stabilize its fiscal stance.” In particular, the government had failed to anticipate the 1985-86 oil crisis, when Saudi Arabia flooded the market and prices tumbled. By 1990 the prospect that Washington could tap the brakes on oil prices by dipping into US strategic petroleum reserves loomed large. To make sure Mexico wasn’t again exposed to forces beyond its control, the Salinas government decided to bet on prices falling and enlisted Goldman Sachs. Stephen Semlitz, a rising star and head of energy trading at J Aron & Co., the bank’s legendary in-house commodities unit, and Robert Rubin, Goldman’s co-chairman, who later became US treasury secretary, proved instrumental in helping Mexico lock in a price of US$17 a barrel for the first few months of 1991. The deal worked: Maya crude, Mexico’s benchmark, plunged as low as US$9.75 a barrel that year. Despite the modest success of the Gulf War hedge, Mexico didn’t do it again for years, as oil prices remained relatively stable. The country was again caught off guard in the late 1990s, however, when the Asian economic crisis crippled oil demand just as OPEC countries boosted production in a brutal attempt to gain market share. As a result, prices crashed. In December 1998, Mexico sold crude for as little as US$5.68 a barrel to a US refinery. Mexico, which isn’t a member of the Organization of Petroleum Exporting Countries, hadn’t anticipated the crisis and hadn’t hedged. In trader parlance, the country was naked. In the early 2000s, Goldman Sachs and Morgan Stanley, already known as “the Wall Street refineries,” continued expanding into oil. The Hacienda hedge became an especially important part of their business, say bankers with knowledge of the deals. Goldman kept a particularly firm grip on the deal it had helped to fashion a decade earlier. As recently as 2010, according to Mexican government documents, Goldman was handling 56.5 percent of all the barrels involved in the deal. Lured by the large fees and the cachet of landing part of such a prestigious deal, other banks — Barclays, Deutsche, JPMorgan Chase — began angling in. Mexico has since widened the net even further, recruiting outfits such as Citigroup, HSBC, and BNP Paribas, according to government documents. For the 2017 deal, the country reached outside the banking industry for the first time and hired the trading arm of Royal Dutch Shell Plc. In most recent annual hedges, Mexico has used from four to six counterparties. Current and former bankers involved in the deal say the lenders’ profits were US$30 million to US$80 million a year per bank. “The Mexican hedge is an extremely important part of the oil business of the banks,” says George Kuznetsov, head of research at Coalition Development Ltd, an analytics company that tracks investment houses. Nonetheless, while Mexico has spent an average of US$1 billion a year hedging over the past decade, the banks’ slices of that rich pie have gotten smaller, as more and more lenders have entered the mix. What’s more, US regulations put into effect after the global financial crisis have introduced complications. Before 2008, banks kept the hedging risk in-house for weeks and even months, slowly offloading it to other clients without the need to go out into the broader oil futures market. For instance, a client other than the Mexican government — say, an airline seeking protection against rising prices — might take the other side of the Hacienda hedge. After 2008, the rules of the game started to change. One example is the Volcker Rule, which prohibits banks from making certain speculative investments. The rule went into effect in July 2015. Its constraints on risk oblige the banks to get it off their books quickly. One way banks do this is by hedging in the futures market: They might take the other side of the hedge themselves, in effect selling futures within a mix of oil and refined products. For the banks, the ability to hedge their bets is crucial. Given their exposure, if the hedge is poorly executed and the market moves against them, they risk losses that could eat into a large chunk of their annual profits. Take 2009: Mexico made US$5.1 billion that year, but at the height of the oil price crash, the mark-to-market value of the hedge (equivalent to what the banks could have ended up paying to the Mexican treasury) was huge — “close to US$10 billion,” according to the report by Duclaud and García, the Mexican central bank economists. “The execution of the hedging program is challenging, so particular attention must be placed on selecting counterparties,” they wrote. The 2009 payments highlight the size of the potential impact for the banks if their own hedges don't work well, not that that happens often, according to bankers. That year Barclays paid Mexico roughly US$3.1 billion, equal to more than a third of its pre-tax adjusted profit; Goldman Sachs, US$1.3 billion; Deutsche Bank, US$405 million, and Morgan Stanley, US$128 million. Until 2009, the Mexican government didn’t disclose any information about the Hacienda hedge. Since then, its practice is to disclose as little as possible. And the banks? They never publicly acknowledge their participation in deals like this. Still, for all the Mexican government’s efforts to keep its megahedge hidden, a detailed history of how the deal works can be gleaned from the thick, bound volumes of the legislature’s annual audit, the Auditoría Superior de la Federación. Among other insights, the thousands of pages reveal that Mexico’s current practice is to buy so-called Asian-style put options. That allows the country to hedge an average price rather than the price at the expiration of the contract, as is the case with “American-style” options. While the Mexican government hedges every year, it doesn’t enter the market at the same time. According to the audits, it has started buying options as early as May and as late as August. In the early years, Mexico locked in the price of West Texas Intermediate, but that caused trouble because of WTI’s ever-changing price relationship with Maya, Mexico’s main crude export grade. Today, to avoid price variations from benchmark to benchmark, the hedge involves a combination of Maya — usually 80 percent to 90 percent of the total — and Brent, the world standard. The audits confirm Mexico’s reputation in the oil market for shrewd trading and its keen desire to keep the deal quiet. No year epitomizes those characteristics as much as 2007, the year before the big deal that made US$5.1 billion for Mexico. The men from Hacienda started early in 2007, hedging five million barrels during the week of June 18. With prices failing to decline, Mexico slowly built up its position, selling 185 million barrels in the next three weeks. In late July, with prices rising fast, it went all in, doing 100 million barrels in a single week. The wave of selling sent prices tumbling 10 percent. Mexico immediately vanished from the market, staying quiet for three weeks. The men from Hacienda didn’t return until the end of August, as prices rose again, quickly selling an additional 85 million barrels in 10 days. In total that year, Mexico sold 435 million barrels in 68 deals. Goldman Sachs handled the bulk of those orders — 250 million barrels in total. The audits also disclose something oil traders have long suspected: Mexico doesn’t trade just in the summer; it’s been in the market during the winter at least once. In the summer of 2013, Mexico, as usual, bought put options, securing a price of US$81 a barrel. But contrary to its usual practice, the country reentered the market in January and February 2014, restructuring the deal at US$85 a barrel. Mexican officials have argued that the hedge, which runs annually from Dec 1 to Nov 30, doesn’t affect prices. However, bankers who are or have been involved in the deal, as well as oil traders who monitor it closely, say Mexico’s hedging, in fact, roils the market. That certainly happens when Mexico’s bankers sell futures to protect themselves, putting downward pressure on oil prices. If only because of its magnitude, the hedge is a fount of rumour, chatter, and volatility —particularly when Mexico is hedging and the market is falling, as in 2008 and again in 2014. Despite Mexico’s success, no other oil-producing country has followed suit with similarly large hedges. Several nations, including Qatar and Russia, have come close to implementing a big hedging programme through Morgan Stanley and Goldman Sachs, but they walked away at the last minute, according to people familiar with the talks. For the massive Middle East producers, hedging appears to be a headache they’d just as soon avoid. With small populations and huge revenue, they instead self-insure, amassing their petrodollar reserves and saving during boom times by pouring money into their fat sovereign wealth funds. Saudi Arabia, for example, has since late 2014 used about US$200 billion from its foreign exchange reserves to weather a period of low prices. Poorer oil-producing countries don’t have that luxury, and that’s when oil hedging might look attractive. Ecuador, OPEC’s smallest member, is a case study in how an oil hedge gone wrong can cause a political storm. In early 1993, Quito decided to lock in oil prices through a series of relatively complex deals involving put options and swaps orchestrated in conjunction with Goldman’s J. Aron & Co.
Ecuador secured a floor of US$14.88 a barrel for the year, handing the bank US$12 million in fees. But the deal left the country exposed to pay more if prices turned out to be higher. To the surprise of the government, oil did indeed move in that direction, averaging US$15.85 a barrel. As a result, Ecuador not only lost the US$12 million it paid for put options that turned out to be worthless but also had to pay an extra US$6 million to Goldman for the swap. The political opposition to President Sixto Durán Ballén, according to an IMF review of the deal, blasted “the high losses to the country,” and Ecuadorean lawmakers appointed a special committee to investigate allegations of corruption against several officials involved in the hedge. (The panel concluded there was no wrongdoing.) Ecuador’s mistake may well have been to see the hedge as a bet rather than an insurance policy. Mexico’s hedge has never triggered a political backlash of any real consequence. But that doesn’t mean the joyride can last forever. Oil is no longer the make-or-break revenue generator it once was. Last year it accounted for only 17 percent of total government revenue. And oil production is declining even as domestic demand is climbing—reducing net exports and hence the size of the deal. In the hedge’s halcyon days, Mexico sold forward more than 450 million barrels of oil; this year it’s done only 250 million. Despite the budgetary stability the annual big bet has brought to this country of 122 million people, the sun may be setting, however slowly, on the hedge and the men from Hacienda who pull it off.